O.T. Genasis — In Love With the Making It Rain Money Gun!! O.T. Genasis can’t be bothered with all the energy it takes to manually throw dollar bills at strippers … so he went and got himself a money gun … to fire George Washingtons at ’em! Bachelor Party, Bachelorette Party – Turn up with The Cash Cannon! Now let’s be honest, just because you’re the groom-to-be and it’s your bachelor party doesn’t mean that those strippers are giving you lap dances for your good looks and charm. Everyone knows that they ready for you to come off those dollars and that they’ll shake it a little bit harder the more money they see flying in the air. What better way to make this happen than with the Cash Cannon. Whether you are traveling to Las Vegas, Atlanta, Miami, Los Angeles or New York for your bachelor party, be sure not to leave home without the Cash Cannon. It’s lightweight and easy to use, making it a breeze to take it inside of any club or party. This new and innovative novelty toy will make all the exotic dancers flock when they see the money drop! Staying in town for your pre-wedding festivities? Well you’re definitely not excluded from having a ball. 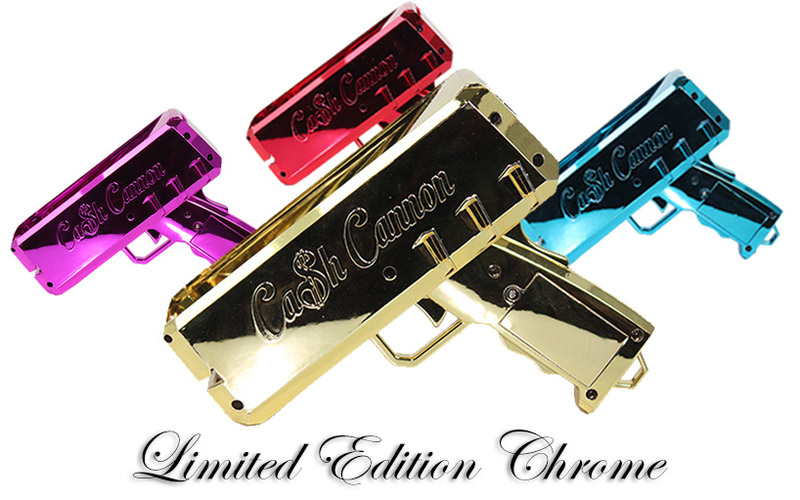 No matter if you are going to a gentlemen’s club, having a bash in a hotel or a private suite, or even staying in the comfort of your own home, the Cash Cannon will add excitement to any bachelor party. Simply load with money, squeeze the trigger and make it rain! You can load up to 100 bills at a time and you can control the flow of the cash by pressing and releasing the trigger. So just remember, whether you’re poppin’ off bottles in the VIP or at your own private party, make sure that you are poppin’ off the Cash Cannon too. Everyone will enjoy the fun that comes with this gun. And don’t be stingy; get one for you and all of your boys so everyone can shoot off! It will be the perfect gift for any groomsmen or bachelor party attendee. 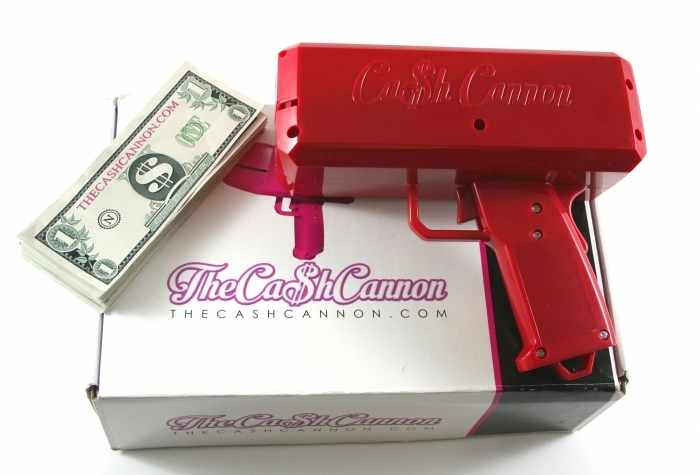 Yeah, we love them strippers… and now they’ll love you too with the Cash Cannon! How many times have you been in a club and someone put a flyer in your hand or you come outside to find one on your windshield? Happens 90% of the time right? Well, if you’re a promoter or business owner and you’re serious about your hustle, you know that you need to spread the word the most effective way possible. Rather that is via internet, word of mouth, or with flyers. 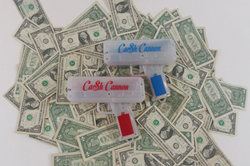 So why not do something different and modernize your promotional tactics with the Cash Cannon. It’s not only an attention grabber but most importantly an effective marketing tool, making promoting effortless while having fun. You may want to make it rain on the crowd with dollars and follow it up by flyers. Better yet, why not let a few of your comrades blast off couple of Cannons at the same time? Some filled with money, the others filled with flyers or confetti. Or even take it up a notch at customer appreciation events by shooting off various coupons for percentage off services, free products etc. No matter what you use it for, it’s guaranteed to create an attraction and generate business.